Saturday and Sunday, 23-24 September, 10 am – 5 pm. 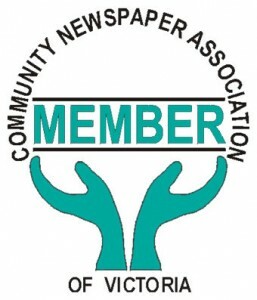 The annual Waverley Gem Club Exhibition is being held at the Brandon Park Community Centre (645 Ferntree Gully Road, behind the Fire Station). 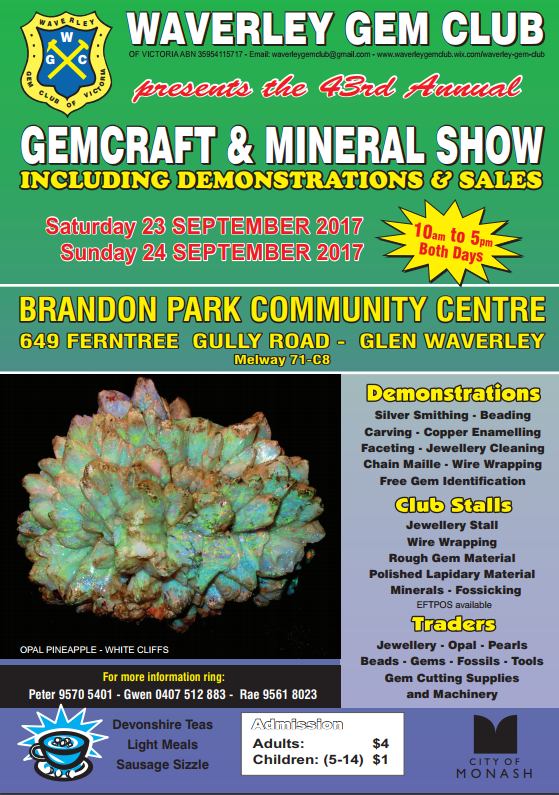 The exhibition includes jewellery, gemstones, crystals, rocks, mineral and fossil sales, gemstone identification, fossicking, faceting and silversmith demonstrations, showcases and more. Devonshire teas and a canteen are on site.